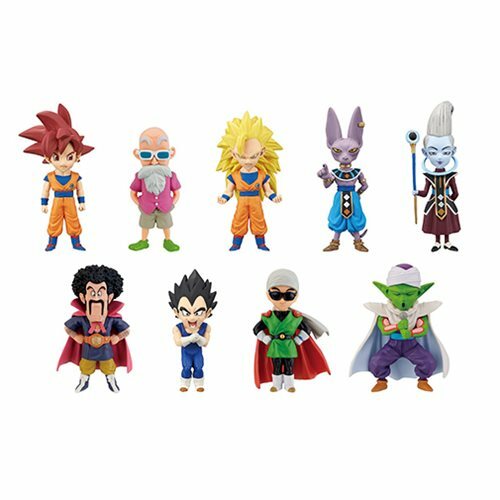 The next series of WCF figures features more of your favorite Dragon Ball Z characters! Each mini-figures stands about 3-inches tall and comes packaged in a blind box. Which one will you get? Ages 15 and up. This Dragon Ball Z WCF God vs God Series 1 Mini-Figure Random 3-Pack includes 3 individually packaged figures.